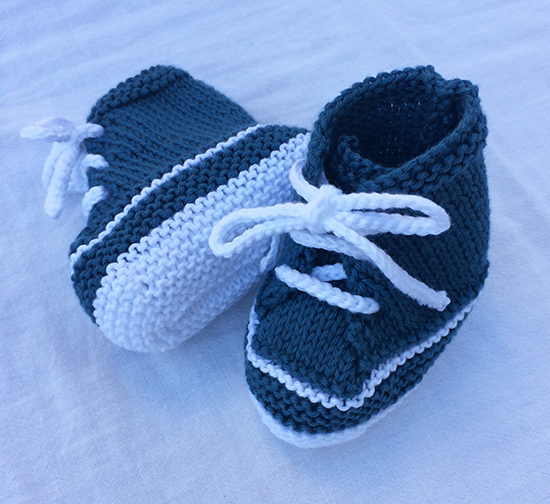 Cute Baby Sneakers and Upcoming Crochet Along! I have hardly done any knitting or crocheting for babies or children in my life and suddenly this year that is all I appear to be doing. It seems that nearly everyone I know is either having a baby or a grand baby at the moment. 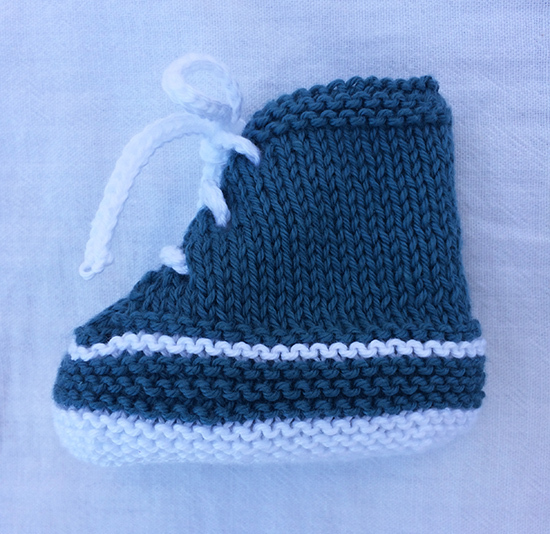 Having just finished a crocheted baby blanket (see previous blog post) I immediately started on another one for a colleague and in the middle of that knitted up these cute little baby bootie sneakers for another colleague that is expecting a baby in four weeks time. 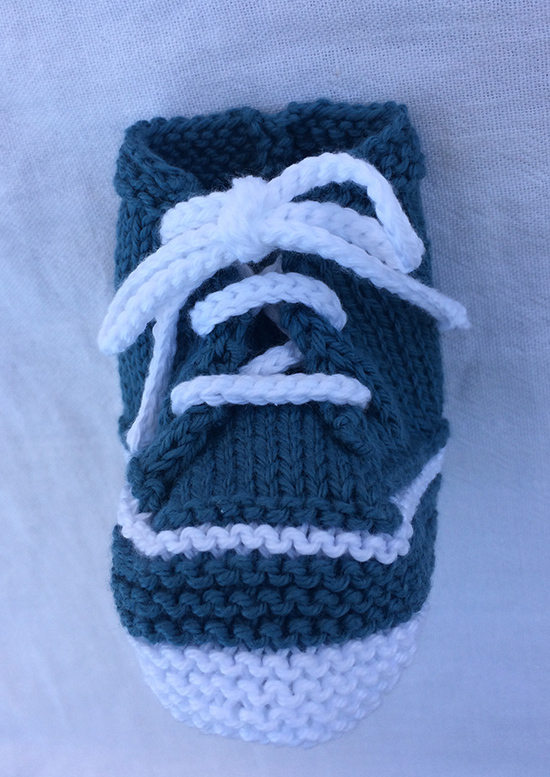 The pattern is by Florence Merlin and called My First Sneakers (link to pattern below). 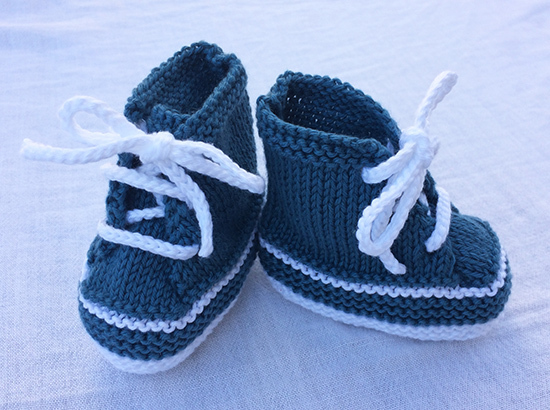 Although the pattern uses Wool Phildar “Super Baby” I used Rowan Summerlite 4ply in the shades High Tide (428) and White (417) and 2.75mm and 3mm knitting needles. For the laces I used a 2.5mm crochet hook. They were very quick to knit up, however you need to concentrate on the pattern as decreases/increases happen nearly every row or few rows. I did make a few changes to the pattern. For the left side of the bootie I increased using M1R and for the right side I increased using M1L. This means the edges with the lace holes match each other in a mirroring fashion. Also, for the sole decreases on each odd numbered row, I used K2tog (as it states in the pattern) for the first two decreases and then SSK for the second two decreases. This again mirrors the decreases and gives a better finish. I tested out the instructions for the laces (casting on a number of stitches and then casting them all off) but did not like this so I decided to use a 2.5mm crochet hook instead. I made a chain of stitches as per the pattern and then slip stitched back along them all. I was very happy with the result as they looked like real laces! And while you are there check out all Florence Merlin’s baby patterns; they are just so cute! I’ll be back soon with another finished crocheted baby blanket and even more crochet with another crochet along by Lisa Richardson starting on 3rd August. 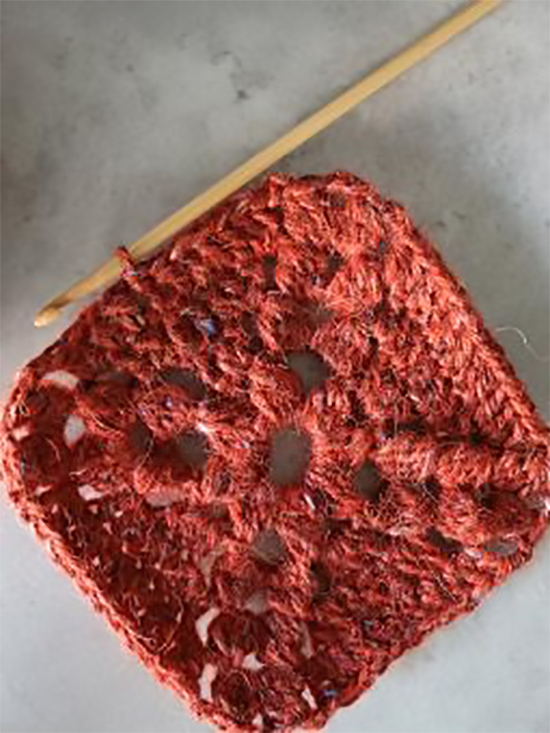 Click here for more details on the upcoming Crochet Along including the shopping list.